Rebecca Belmore’s exhibition KWE offers viewers a small survey of over two decades of work in photography, performance, video and sculpture. Titled after the Anishinaabe word for woman, the exhibition (part of the Scotiabank CONTACT Photography Festival) furthers an ongoing investigation into themes of identity, protest, loss and strength. KWE is cohesive and tightly curated (by Wanda Nanibush). The work is accomplished and confident without losing any measure of approachability or intrigue. Since the late-1980s Belmore has been engaged in a lively and politically involved practice centred on the unique issues faced by First Nations women living in post-colonial society. 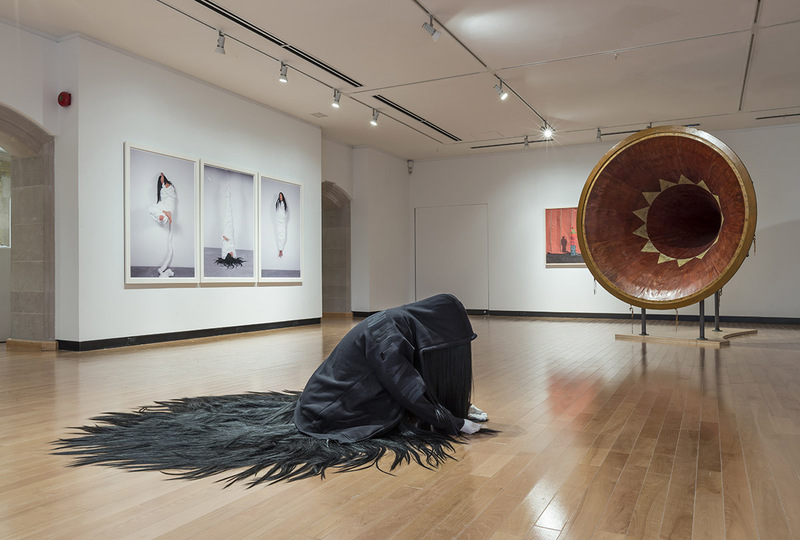 The work is motivated in part by the paradox of holding ‘dual’ citizenship as both First Nations and Canadian when both cultures claim origin from the same land. The challenge when viewing established work such as this lies in separating its extensive history from its ongoing and evolving status as contemporary art. Upon first glance, the show is clean, bright and pleasing to the eye. 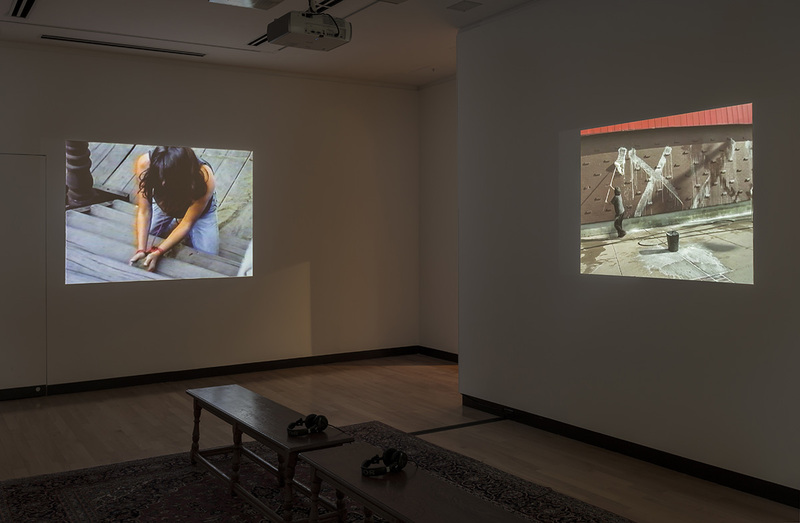 The female body is present; both on the walls in the form of photographic portraiture, on the floor as figurative sculpture and within the actions recorded as video works. 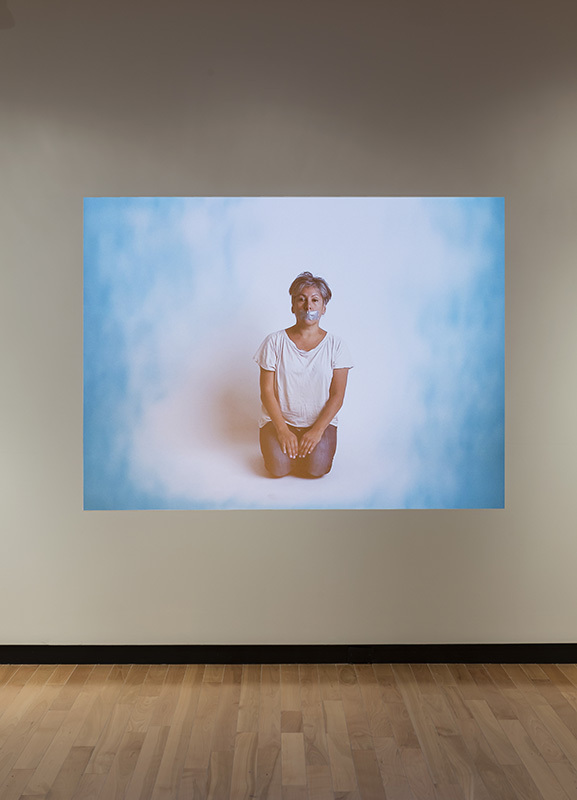 One of the first works on view is a backlit three-paneled self-portrait on transparency titled sister (2010), which depicts Belmore’s upper body turned away from the viewer at a scale slightly larger-than-life. Clad in jeans and a denim jacket, the figure stands tall, with arms outstretched and fingers poised in a delicate-yet-firm fanning motion, almost like the skeletal wings of a bird. Like much of the portraiture in the exhibition, this figure is both defiant and vulnerable − is she asserting her presence or waiting to be frisked? − and its identity is obscured just enough to convey a sense power that only comes from knowing when to be silent. In a similar expression of both force and grace, the fabric-wrapped bodies in White Thread (2003) and Untitled Series #1-3 (2004) speak to the practice of binding and swaddling. In their confinement the bodies become gestural, both protected and rendered helpless, projecting a sense of innocence and beauty in their altered state. Like so much of the work in this exhibition, these pieces are refreshingly physical, almost alive. Refusing to act as passive objects, their energy jumps off of the wall and freely circulates throughout the gallery space. Perhaps the most well known of Belmore’s works is Ayum-ee-aawach Oomama-mowan: Speaking to Their Mother (1991). The work is a six-by-seven-foot mixed-media megaphone created at British Columbia’s Banff Center in response to the Oka Crisis. Having traveled across Canada to sites of Aboriginal land claims, Speaking to Their Mother functioned as a communication device that provided a platform for local people to speak their minds. Interestingly, the piece translates almost seamlessly into the galley setting, continuing to communicate its message through the performance of both artefact and contemporary art object. Skilfully constructed out of wood, birch bark, leather, fibreglass, resin and a small functioning plastic megaphone, the piece is installed in such a way that its impressive formal properties can be easily and intimately navigated. 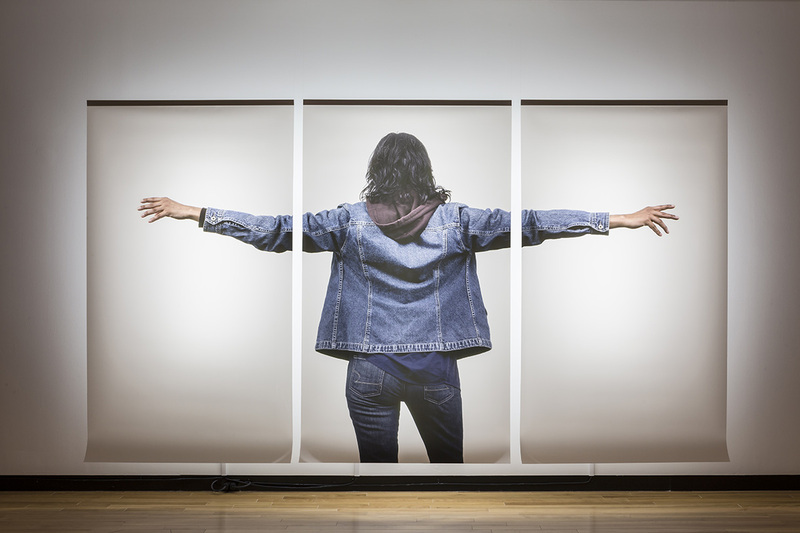 The implied power of this giant, almost monumental, artwork contains in its essence everything that Belmore might desire a viewer to gain from her exhibition: it documents a political action, acts as physical evidence of the Anishinabee artist’s hand, and communicates fluctuation between the presence and absence of the body, language and power. The true strength of Belmore’s practice, then, lies is in the consistency of both its message and its method. Aesthetics are never compromised in the interest of politics; neither do politics ever overshadow the aesthetic qualities of the work. Successfully walking the often-precarious line between the inner world of the art institution and the greater political public, Belmore’s practice speaks to the potential for visual language to transcend the boundaries of history, presence, space and time.